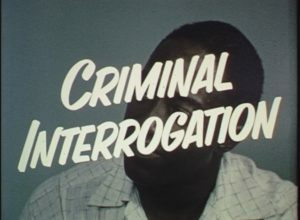 On June 23, 1965, Marvin Martin called Houston police to request a welfare check on his aunt and uncle, Fred and Edwina Rogers, with whom he had been unable to get in touch for several days. When officers forced their way into the Montrose home, they found it empty. 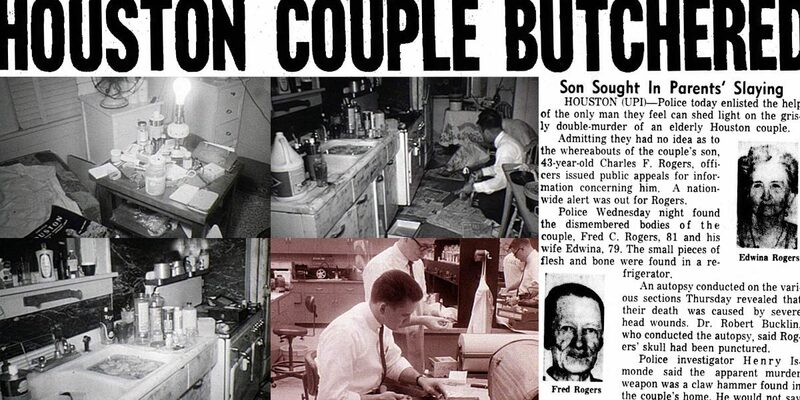 Noticing food left out in the kitchen, patrolman C. A. Bullock opened the refrigerator, where he discovered the dismembered bodies of the elderly couple. 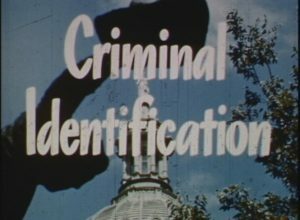 The Rogers' adult son, Charles, who lived in the house, immediately became a person of interest in the investigation. Despite clean-up efforts, blood evidence was found leading to Charles’ bedroom. Charles was never located and was declared dead in 1975. The case remains unsolved. Police found items believed to have been used in the murder, including a claw hammer, scissors, and a keyhole saw. 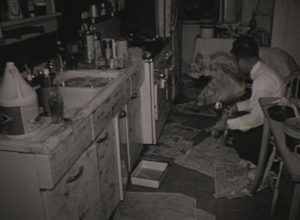 True crime enthusiasts may be amazed to see the investigators handling these items with their bare hands. 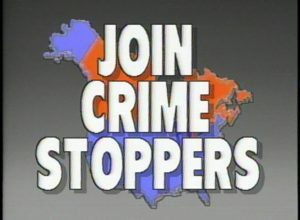 Glove-wearing at an active crime scene became standard practice in 1924, to protect law enforcement from biohazardous substances and avoid placing fingerprints. 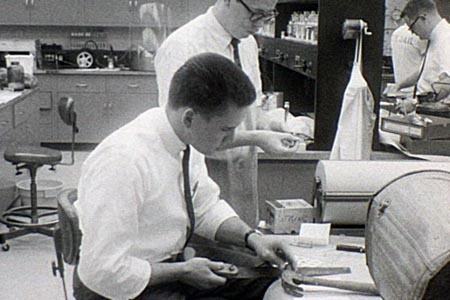 Consideration of cross contamination during evidence collection and processing did not fully materialize until the development of DNA analysis in the 1980s. 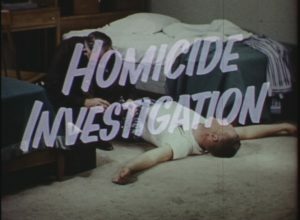 The attached training films, produced by the Texas Department of Public Safety, reveal how law enforcement conducted an investigation around the time of the Rogers double homicide.